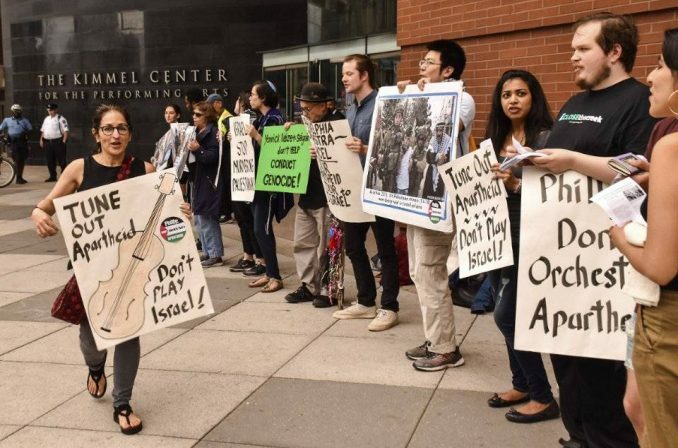 Philadelphia — Since early April, Palestine solidarity activists have gathered outside the Kimmel Center every week to tell the Philadelphia Philharmonic Orchestra “Don’t Orchestrate Apartheid” and to cancel a planned trip to Israel in June. Philly Don’t Orchestrate Apartheid, a broad coalition of groups and individuals, launched the campaign when it learned that the orchestra would be traveling to Israel to celebrate the 70th anniversary of the Nakba — the Catastrophe — when hundreds of thousands of Palestinians were forced off their land by Zionists. Despite the threat of rain, the energy on May 10, the sixth weekly protest, was so infectious that several people joined off the street, including two young queer Palestinian workers. Everyone handing out fliers for the boycott reported receiving a more favorable response than in the previous five weeks. A number of concert attendees promised to sign PDOA’s online petition at tinyurl.com/y7vzjy8f or to call the orchestra to complain at 215-893-1955. While the orchestra claims its tour is not “a political mission,” it is touting it “in celebration of its [Israel’s] 70th anniversary.” Orchestra representatives will be meeting with high-level Israeli government and military officials. Two visits to Israel Defense Forces bases are scheduled in which orchestra members will be performing with IDF soldiers, in blatant disregard of the Israeli military attacks in Gaza that have intentionally killed more than 100 and seriously wounded more than 7,000 Palestinians since May 14. It is clear that the orchestra is feeling the heat. For the first time it is running daily ads on National Public Radio and the local KYW radio station to promote its upcoming concerts. 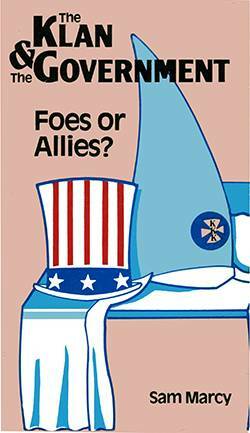 Publications supporting the tour have launched a vicious, Trump-like attack campaign against individual organizers of the PDOA, but the group is not backing down. PDOA’s last action prior to the Orchestra’s departure will be on May 19, from 6:30-8:30 p.m. at 300 S. Broad Street in Philadelphia. Organizers are urging everyone who opposes Israeli occupation of Palestinian lands to turn out. For more information, see tinyurl.com/fbPDOA.